• September 2018 – Today: Ikerbasque Research Professor at the Donostia International Physics Center, DIPC (San Sebastián, Spain). • January 2019 – Today: Visiting Professor at the Barcelona Supercomputing Center, BSC (Barcelona, Spain). 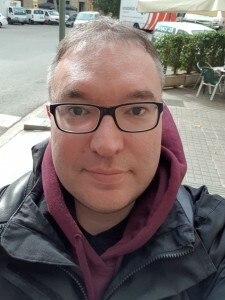 • February 2019 – Today: Founder and CTO of Multiverse Computing SL (San Sebastián, Spain). • October 2017 – Today: Partner and advisory board member of Entanglement Partners SL (Barcelona, Spain). • October 2017 – Today: Scientific advisor, Quantum for Quants, Quantum World Association (Barcelona, Spain). • April 2013 - August 2018: Junior Professor (W1) in Condensed Matter Theory at the Johannes-Gutenberg Universität Mainz (Mainz, Germany), in the KOMET 337 group. • April – May 2018: visiting Professor, Donostia International Physics Center, DIPC (San Sebastián, Spain). • March – April 2017: visiting Professor, Donostia International Physics Center, DIPC (San Sebastián, Spain). • March – April 2016: visiting Professor, Laboratoire de Physique Théorique, Université Paul Sabatier – CNRS (Toulouse, France). • December 2010 – March 2013: postdoctoral research fellow (Marie Curie) at the Max Planck Institute of Quantum Optics (Garching, Germany), in the Theory Division led by Prof. Ignacio Cirac. • September 2006 – November 2010: postdoctoral research fellow (ARC) at The University of Queensland (Brisbane, Australia), in the group of Entanglement, Many-body Systems & Simulations led by Prof. Guifre Vidal. • July 2006: PhD in Physics at the University of Barcelona (Spain) under the supervision of Prof. Jose I. Latorre. • I was born in Barcelona. I like playing my guitars, diving, hiking, playing basketball, traveling, cooking and thinking. And I also like coffee, specially this one. • You can get my PhD thesis here. • My GOOGLE SCHOLAR profile. • An interview for Basque newspaper Berria, on quantum computing (in Basque). • Highlight of DIPC-BSC agreement, El Diario Vasco, La Vanguardia (in Spanish). • Highlight of Multiverse Computing in Expansión (in Spanish). • Medium article on predicting financial crashes with quantum computing. • Medium article on quantum computing for finance. • Open Access Government article on quantum complex systems. • Scientia article on quantum complex systems. • An interview about quantum technologies for Tecnologia y Sentido Común, Capital Radio (in Spanish, around minute 45). • Frankfurt (Germany), (2018) on quantum computing for finance (youtube, min 80). • Ghent (Belgium) (2017) – blackboard on PEPS & computer exercises -. • APCTP (Korea) (2017): part 1 (blackboard), part 2 (slides). • DIPC (San Sebastian) & Les Houches (France) (2017). • Les Houches (France) (2014). Research funding is acknowledged from Ikerbasque, DIPC and DFG.